I am soooo excited!!! As many of you know, I’ve become a bit of a yoga junkie, I just can’t get enough of it. 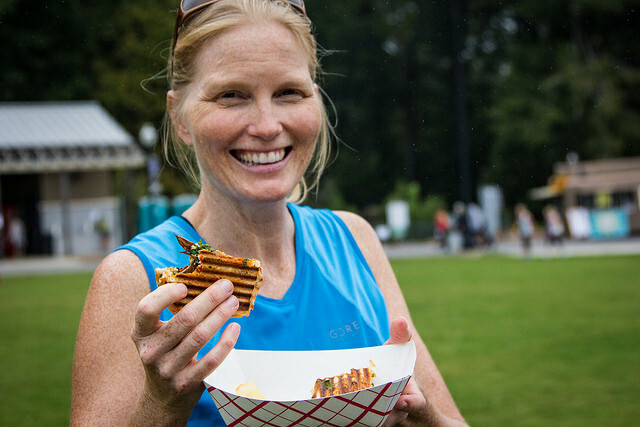 This all day festival aka “mindful triathlon” is going to be the perfect recharge to enter into fall!! 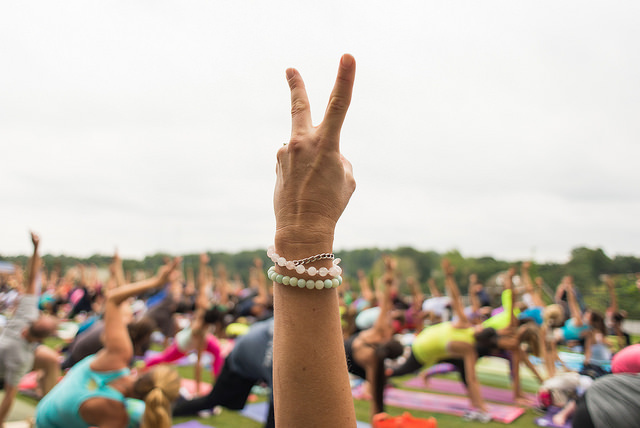 I am very excited to be attended this mindful triathlon and connecting with other link minded people in the DMV. I would try and describe the day but they’ve done such a great job that I will just save my words for the recap of the awesomeness afterwards. Keep reading for all of the awesome details and schedule for this incredible day!! 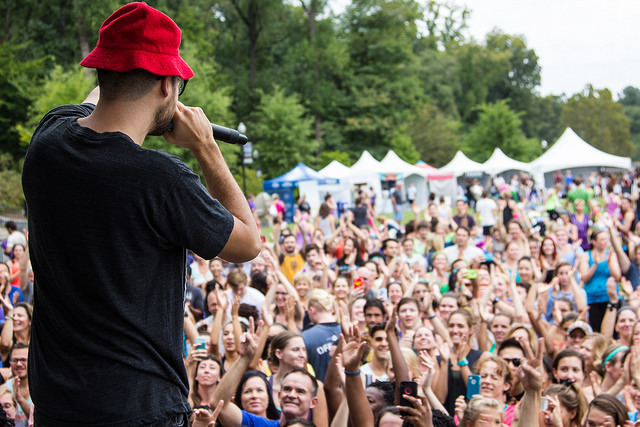 Photo by Jake Laub for Wanderlust Festival. 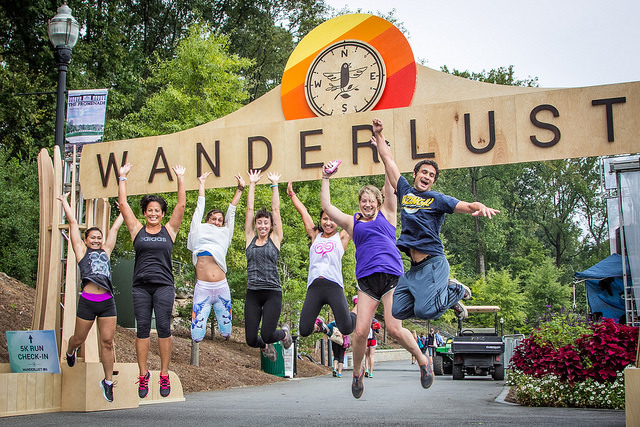 Lace up your running shoes and hit the pavement with your fellow Wanderlusters. Our course, which is more or less 5k in length, is carefully selected to finish where it starts — something which we encourage you to contemplate during meditation. We’ll provide a timer at the start and finish line, but you’re the only one who will be keeping track. No bragging, please. Only smiles. Photo by Joy Hmielewski for Wanderlust Festival. 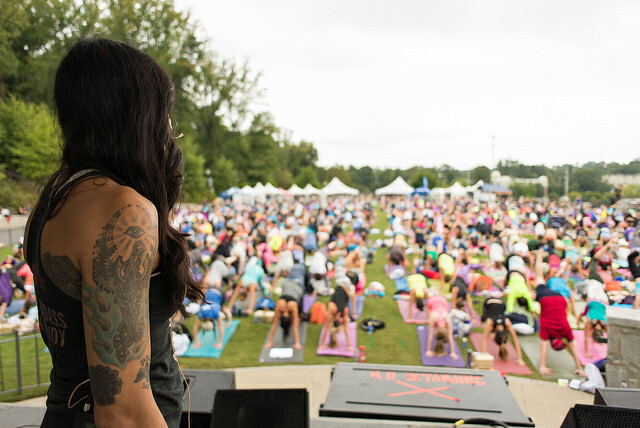 Photo by Anna Norris for Wanderlust Festival. For many of you, meditation may be the aspect of Wanderlust 108 that you’re least familiar with. That’s OK — it’s (deceptively) simple. Meditation is an ancient technique to bring your mind under greater voluntary control. More recently, studies have shown that meditation can treat stress, worry, addiction and lead to happier relationships, which is a great reason to try it out. This segment lasts about 30-minutes, but after some instruction and an inspiring lecture, you’ll only spend about 15 minutes in silent meditation. Everyone can sit still for 15 minutes, right? 2:30 PM – 5 PM Acro Yoga w/ Chris Loebsack, Hooping w/ Jewels Hoop, Slackline w/ The YogaSlackers, Music + More! This entry was posted in Craft, Dance, DC, Meditation, Run, Wanderlust, Yoga and tagged Craft, Dance, DC, DJ, Festival, Hooping, LawnGames, Live, Local, Meditation, Music, Run, Slacklining, Wanderlust, Wanderlust108, Yoga. Bookmark the permalink.